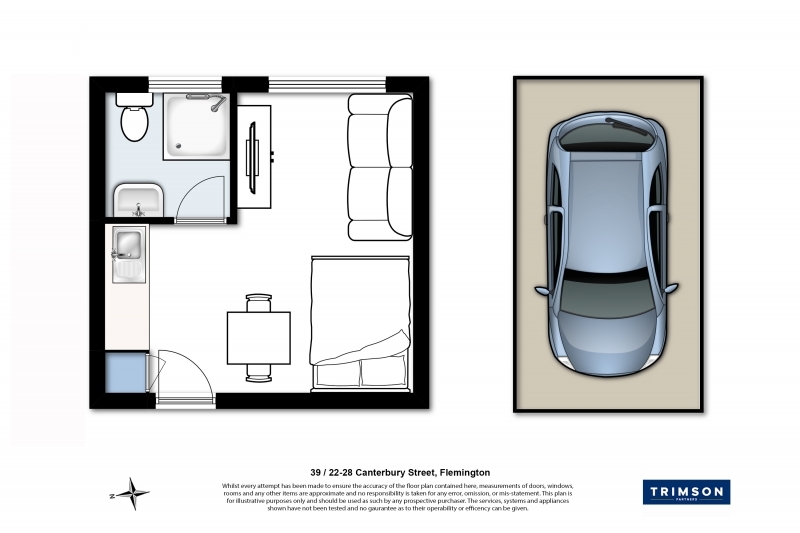 Situated along one of Flemington’s premier tree lined streets is this petite studio apartment offering a great walk in opportunity for low budget buyers and investors. Minutes from all required amenities and lifestyle attractions. Flemington Racecourse, Showgrounds, Maribyrnong River, handy to public transport. Low maintenance throughout and currently enjoying tenancy return of $200 per week. Top floor accommodation, enjoying a quiet rear aspect, and offering an elevated leafy outlook comprises open plan living/bedroom and kitchenette. A separate bathroom has a separate shower, vanity, and toilet. Designated undercover car space adds the final touch. Stroll to Pin Oak Crescent cafés, Newmarket eateries, supermarket, parklands, trains, trams and buses represents a great opportunity and low budget buying.